I had never been to Idaho, and I knew virtually nothing about the state. I simply assumed that ideal potato growing conditions did not lend themselves to epic whitewater. Bronco assured me this was not the case. 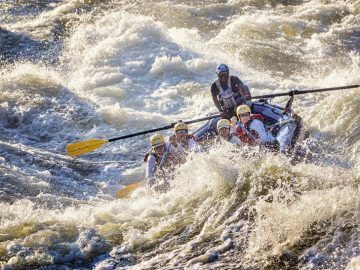 There was plenty of whitewater rafting in Idaho, he said, on some of the wildest rivers in North America. Four years later, after experiencing a river trip through the Frank Church Wilderness, I also found myself singing Idaho’s whitewater praises. 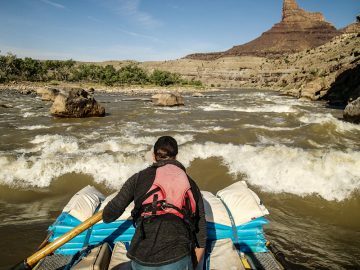 Eager to return to the Frank Church—the second-largest wilderness area in the lower 48 at 2.3 million acres—I signed up for an “Epicurean Adventure” offered by OARS and Whole Journeys on the Main Fork of the Salmon River. 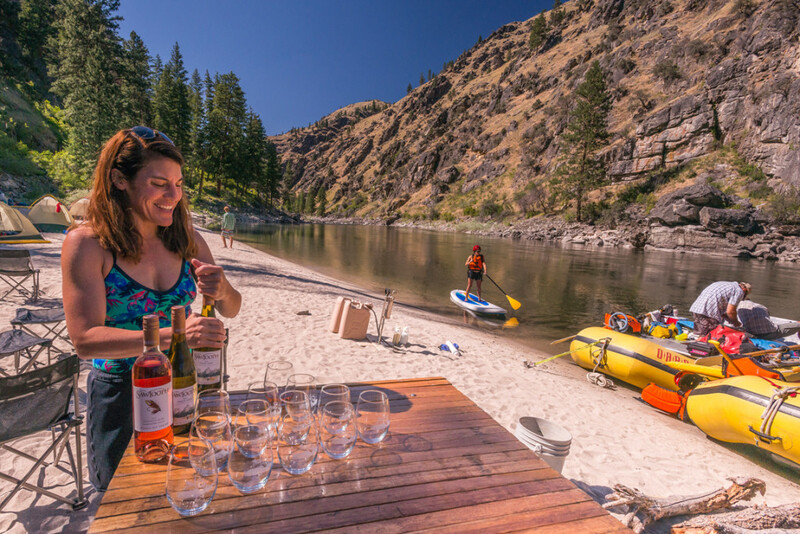 It promised thrilling whitewater, gourmet food and exceptional wine from … Idaho. I knew winemakers were doing great things in Oregon, Washington, even New York. But Idaho? 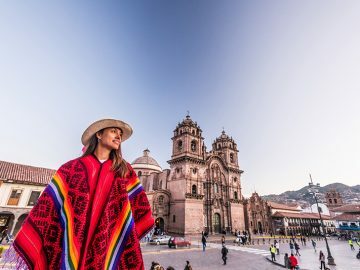 Once again, my worldview was about to change. Joining our Epicurean Adventure was Meredith Smith, associate winemaker at Sawtooth Winery in Nampa, Idaho. 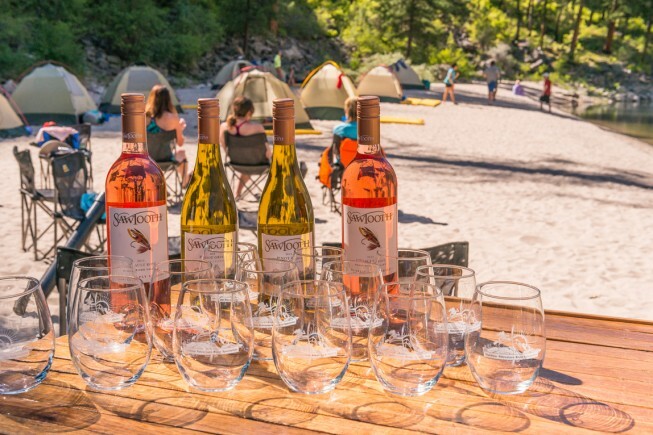 Each day after rafting, Meredith conducted a wine tasting on the bank of the river. As late afternoon light filtered through the canyons, she shared her extensive knowledge of Idaho wine. She talked about its early history—the first vineyards in the Pacific Northwest were planted in Idaho in 1864—and the impact of Prohibition, which destroyed the state’s once-thriving wine industry. It wasn’t until the 1970s that vineyards returned to the Snake River Valley, and today Idaho is home to over 50 wineries. The first day Meredith poured Sawtooth’s Cinsault Rose and Pinot Gris. Naturally chilled by the river, they were crisp, balanced and refreshing. Accompanying the wine was a cheese plate with aged cheddar, double cream brie, goat cheese and buttermilk blue cheese. Chai-spiced grapes and wine barrel-smoked sturgeon added a nice touch to the wine tasting theme. The appetizers were the handiwork of Brandon Liggett, an Idaho native who loved showing off local specialties. Over the next four days Brandon, who can normally be found at The Dish in Boise, Idaho, treated us to seared Idaho trout, grilled rack of lamb from a local farm, and chicken liver pate with rosemary pickled cherries. One night he paid homage to the region’s Basque settlers with a spicy paella paired with Sawtooth Tempranillo, then surprised us with a local goat-cheese panna cotta topped with wild huckleberries he had personally foraged. The last day we stayed at Shepp Ranch, a remote hunting lodge perched above a dramatic bend in the Salmon River. Under a large cottonwood tree we enjoyed our final wine tasting as the river sparkled below. In the morning we woke to a breakfast of farm-fresh eggs and homemade elk sausage, then boarded a fleet of small planes back to Boise. As we soared over the rugged Frank Church Wilderness, I thought about all the local specialties I had sampled. And then it stuck me. There was one local food that Brandon had left off the menu entirely. Potatoes. Considering all that I had learned about Idaho, it seemed fitting.